Since completing his Diploma of Remedial Massage at the SA College of Natural Medicine in 2006 Scott has been very active in the sporting arena providing massage services for Port Power Football Club for over 5 years as well as the A-League soccer teams, the Australian wheelchair basketball team and many of the pro cycling teams when visiting Adelaide for the Tour Down Under, including Team Sky for the past 5 years. 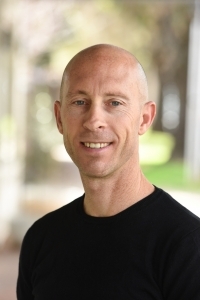 Scott specialises in sports injuries and maintenance care utilising a variety of techniques including trigger point therapy, chinese cupping, dry needling, post surgical intervention massage and stretch therapy all of which produce outstanding results for his clients. He also offers relaxation massage to help his clients calm not only their body but their mind and recover from the day to day stresses in their busy lives. Scott is a passionate cyclist, having competed in the Elite Team Series over the last 10 years, but also enjoys regular yoga and pilates classes when time permits. With his healthy lifestyle he is often outside riding and enjoying nature and you may spot him at a great coffee spot in the hills or sampling a good wine at one of the local wineries. Whatever your condition – whether you’ve hurt yourself, want to improve your sporting performance or simply want to feel rejuvenated – come and see Scott at The Bod Squad. His knowledge and expertise will repair and relieve your muscles and have you feeling wonderfully relaxed and restored.